Includes a trunk mounted organizer bin with dividers and a load-bearing lid. 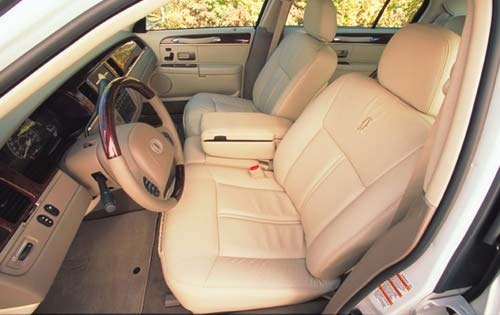 Includes perforated leather seats with premium leather bolsters and seat piping, Lincoln Star embroidered on the front seatbacks, unique floormats with "Limited" block lettering embroidery, 14-spoke, 17" wheels with argent painted pockets, "Limited" badge on C-pillar, unique argent painted grille, HID headlights and fog lights, Trunk Amenities System and full power decklid with key fob open/close. Includes touch-screen DVD satellite navigation system with THX certified CDx6 audio system.